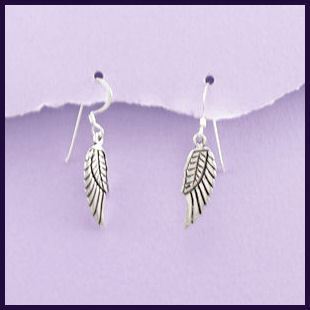 These Sterling Silver Angel Wing Earrings are detailed on both sides. They are delicate and pretty and will look stunning with most other jewellery! Each Wing is H25mm x W10mm and they weigh 1.8g each ! The earrings come in a beautiful ribboned presentation box.